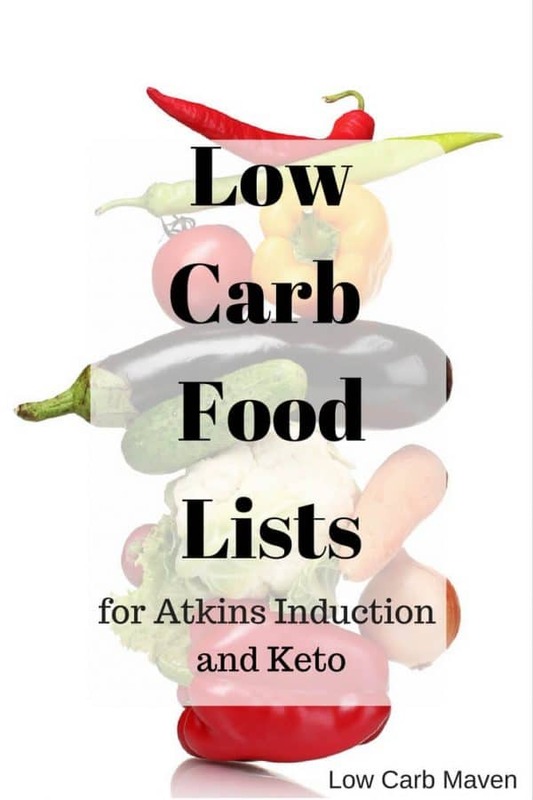 Use this allowable low carb food list for Atkins Phase 1, (the Induction phase of Atkins) to help you start your low carb keto diet the right way. Included are fats, meats, eggs, dairy and the lowest low carb vegetables. As one loses weight, other higher carb foods are added such as nuts/seeds and lower carb fruits. These foods are systematically added back in Phase Two of Atkins. Over time, higher carb foods can be added back to the diet if eaten sparingly and if they fit within one’s daily carbohydrate intake. These foods are the foundation of low carb diets. Cold pressed oils are best because they never exceed 120 degrees F. This keeps nutrients intact and avoids oxidation. Some nut oils are suitable for cooking and others are not. Eggs contain all the essential building blocks for life. They are a healthy and inexpensive form of protein. Choose full fat dairy. Some people are sensitive to the sugar content in dairy and for them, weight loss may stall. Because dairy has some carbohydrates, limit cheese to 3-4 ounces daily and heavy cream to ¼ cup. Onions and garlic are naturally high in sugars, use them in smaller amounts. Avoid starchy vegetables like potatoes and sugary vegetables like carrots and beets. Choose full fat salad dressings that are 1 net carbs per serving or less. Use herbs, spices and Seasonings to taste, but make sure that they do not contain added sugars. Fresh herbs provide a burst of flavor to a dish after cooking. For more information about low carb diets read my Low Carb Diet Beginners Guide.